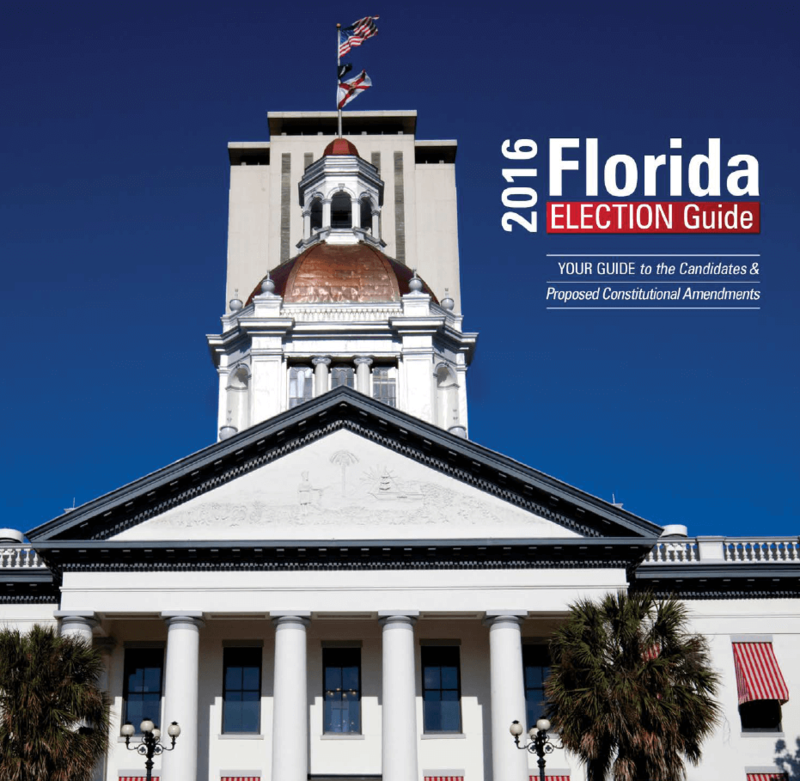 The Florida Chamber of Commerce and Florida Farm Bureau are pleased to provide the 2016 Election Guide as your resource for the upcoming General Election. It is incredibly important for Floridians to be well-informed and have their voices heard Nov. 8. If you have any questions about any of the candidates or issues on this year’s ballot, please don’t hesitate to contact Florida Farm Bureau’s Legislative office in Tallahassee at 850.222.2557.